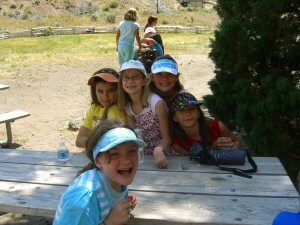 Head lice loves to visit children's sleep away camps! My son came home the other day with a letter from his elementary school regarding sleep away camp. He is so excited and I am just dreading it. He is looking forward to “boys being boys” and his mom not telling him what to do. Me, not so much! Head lice loves spreading through this fun filled week of kid togetherness. Pack a fitted twin-size sheet to put on the camp mattress. This prevents your child from getting lice if the camper using the bed before had lice. Tell your child not to sit or lay on anyone else’s bed and not to let their friends sit or lay on theirs. Don’t let your child sleep with another child, even if they are best friends! Teach your child not to share brushes and combs. More lice is transferred this way than any other. Don’t share beanies, hats, or hoodies. Girls should keep their hair up in ponytails or braids so it has less contact with other kids hair and things. If it’s time for your son to get a buzz cut, a great time is prior to leaving – the shorter the better. 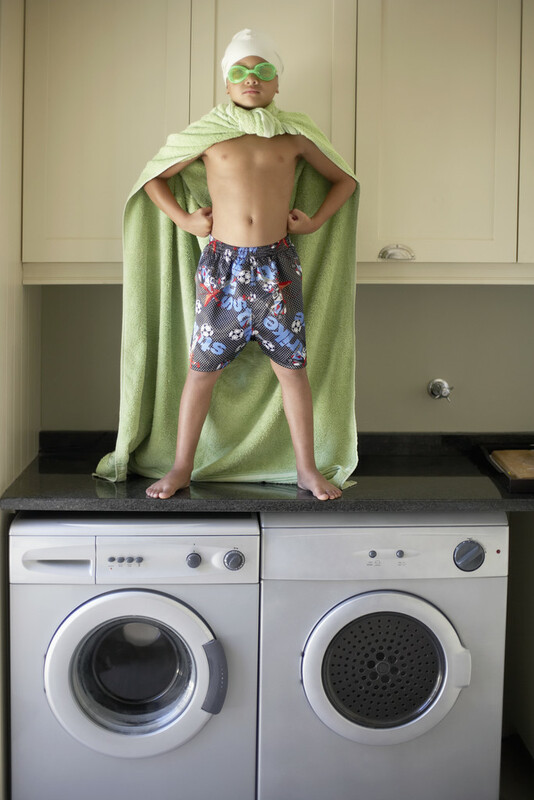 Some think that if you have lice in your family that you don’t need to clean the house. Off the head, lice live for about 48 hours. Nits that are in the house will hatch but they only have 45 minutes to get on a head and feed or they will die. 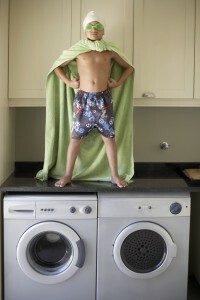 Although the chances are small that lice in the house will get back on a head, there is still a chance. In my opinion, if you have lice, why take chances? Do you want lice back? I hope not! There are sprays you can purchase at the drug store but I would not recommend them. They are pesticide based and if you spray them on your beds and couches, your kids will then lie on and breathe the pesticide. Besides, lice are resistant to the pesticides so these sprays don’t really work. I was speaking to a parent the other day while removing head lice from her daughter and she was under the impression that adults don’t get lice as much because their hair is “old.” Lice do not discriminate by age. To them, hair is hair. Lice are, however, particular about the kind of hair they live in. There are several types of hair they can’t tolerate. People with hair that’s less than ¼” long. Lice need hair and warmth to survive. Therefore, no hair means no lice. Some African American hair does not seem to get lice especially if it’s short/corn rows and has lots of hair product/oil in it. It is a myth that African American hair will never get lice. People with balding or thinning hair don’t typically get lice. Hair on babies that is thin and wispy. Head lice only like head hair, not other types of body hair. There are different types of lice for different types of hair on the body. Lice heaven would be long, straight, thick hair. If I were a louse and I made it to the pearly gates of lice heaven, I would want to be in an 8-year-old’s thick long hair. I could set up shop and no one would be able to find me for months! When you left the hospital with your cute bundle of joy, no one handed you a book describing all the afflictions that might befall your child and how to cure them. I know I didn’t get one – I really could have used it! I get calls every day from frantic parents who don’t know if their child has lice and need me to help them diagnose it over the phone. Well, diagnosing can be tricky business when you have no idea what you are looking for. Hopefully this article will help you really know if your child has lice or not. Nit and lice compared to a penny. Photo courtesy of CDC website. 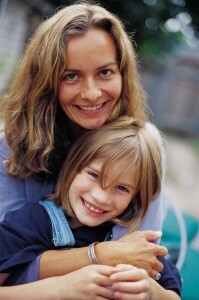 First, when looking for lice you are actually looking for the nits, or eggs, that the lice have laid in the hair. It’s difficult to find an actual bug since they will scurry and hide. Nits are stationary and can’t hide so they are easier to find. Another fallacy, nits are not stark white! Color is purely dependant on the color hair of the person in question. On white blond hair, nits appear brownish and on black hair nits appear a light tan. Nits will be very small and FIRMLY attached to the hair shaft about ¼ to ½ inch away from the scalp. They are 3-dimensional teardrop to oval shape and only on one side of the hair, not wrapped around the whole hair shaft. The only way to get a nit off the hair is to actually pull it down the length of the hair. Dandruff is white, flat, irregularly shaped, and will easily come off the hair strand. You may need to use a magnifying glass or use strong reading glasses so you can see the individual strands of hair more clearly to identify nits. If you are lucky to find a bug in the hair, then you will know that you definitely have lice. 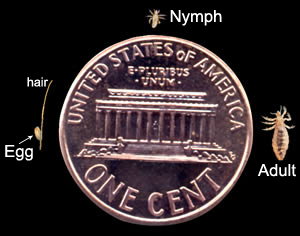 The bugs can range from tiny as a pinpoint size to 1/8 to ¼ of an inch long. They are dark brown in color, long oval shaped, and have six legs. They do NOT have wings. If, after all of that explanation, you’re still unsure I always recommend the following: either buy a metal lice comb at the drugstore or use your dog’s flea comb and comb through your child’s hair after it’s been thoroughly washed. With the hair wet and detangled, comb through the hair, scraping gently along the scalp (remember the lice and nits are close to the scalp) and pull to the ends of the hair. Swipe a couple of times through the hair and then wipe the comb on a WHITE paper towel. If you see little brown oval dots (nits) or brown bugs, then you have lice. If you see yellow or white, this is not lice but just scalp naturally coming off in the comb. Make sure you are sampling all over the head and not just in one section. Good luck! Hopefully you will not have to implement this article but if you do…… I wish you all the best! The holidays can be a wonderful time of year. They can also be stressful if you are dealing with lice on top of all the stresses of school events, shopping for Aunt Helen, decorating the house for the party your husband planned, your sister and her six kids coming to visit, family and work gatherings, etc. You get it. The holidays are stressful and head lice in the family can tip you over the edge! Sharing hats can transfer head lice. 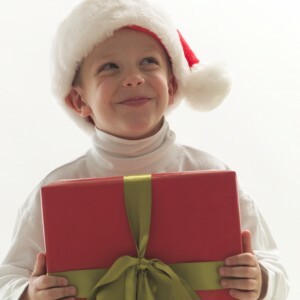 Children love to get into the spirit of Christmas and that sometimes means wearing a Santa hat. Unfortunately, that Santa hat can transfer lice to many kids when it gets passed around. This actually applies to any hat for that matter – be it the Santa hat or a baseball batting helmet. Any head garment can give lice to others. How many times do you see people trying on hats in the store? What about kids sharing batting helmets or baseball hats? It happens all the time. Just last week I treated a girl who had a mild case of lice. After treating her I told the parents that she had had lice for about 10 days or so and they looked on the calendar to discover that was the day of softball tryouts. - Do not pass around the Santa hat. Your child looks cute in it but it’s better to just leave the hat at home. - Be careful with plays or shows that multiple children aren’t wearing the same wig or hat (or any costume piece for that matter). - Buy your own batting helmet and don’t let others borrow it. This applies also to any sport that uses a helmet, such as hockey or horseback riding. - Don’t share bike helmets with the neighborhood friends. The holidays are a time of giving and receiving. Just don’t give lice to your friends. They won’t thank you for it. And believe me, you don’t want Santa to bring you lice – it’s worse than getting coal in your stocking. 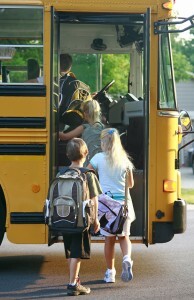 Better check for lice before putting your kids on that bus! 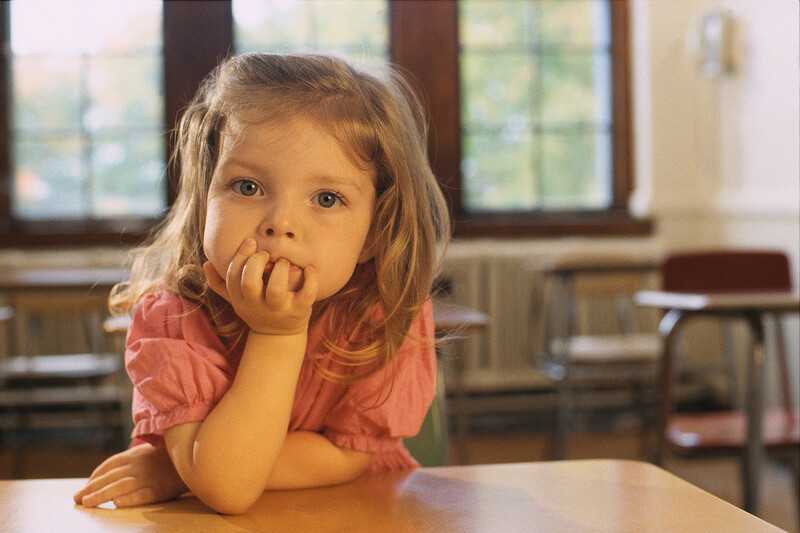 Are you finding lice notices in your child’s backpack almost on a daily basis? Does is seem like there’s lice everywhere right now? You are not alone. Either your family has it, or it’s in the school, or someone you know is struggling with these little pests. Now is the season for lice! 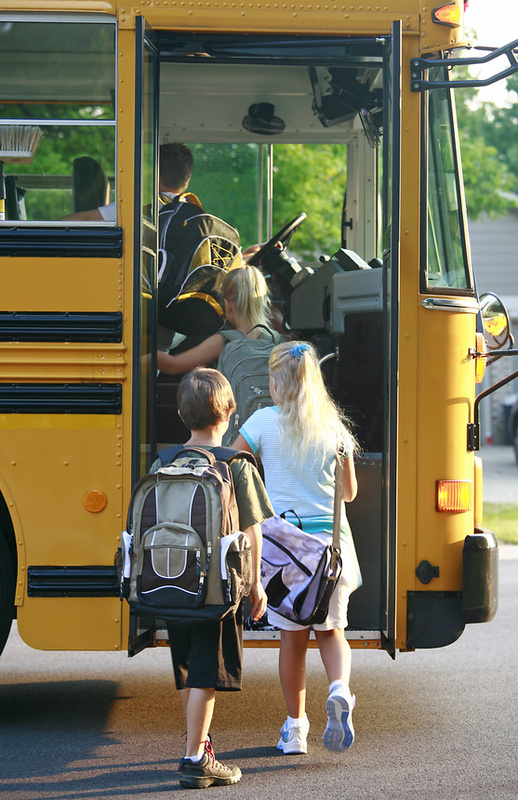 Lice outbreaks tend to spike during the fall when children are returning to school. It has nothing to do with weather and everything to do with proximity. Kids are kids. They sit on carpets together, have cozy reading areas in the class, share brushes after PE, and weekend sleepovers. You name it. They are close together for hours on end so lice are bound to spread like wildfire. Summer is the time for relaxed routines and vacations. No one is thinking about lice during the summer. So when the fall comes around and kids return to school, the children that had lice during the summer return to school with more lice and nits than hair! They are crawling with bugs to share with their friends at school. All it takes is putting heads together during a small group, sitting on the sofa in the reading nook, or sharing pennies during soccer practice and shazam – the next child has lice! Lice do not hop or fly, only crawl. So when kids put their heads together, lie on the carpets, or share brushes, bugs can easily transfer from one child to another. It doesn’t have to be direct contact, merely contact with a surface (ie couch, carpet, brush, clothing, etc) that touched the infested child. Bugs crawl off the infested child and are waiting to move onto the next head. It’s usually the big, fat, juicy bugs that go from child to child. They are the pregnant females and waste no time making a home on the new head they’ve found. A pregnant louse can lay 4-6 eggs per day. Those hatch and before you know it, another child bites the dust.